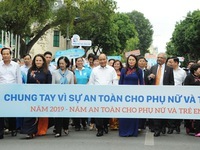 VTV.vn - Yesterday morning Prime Minister Nguyễn Xuân Phúc kicked off a campaign that promotes the safety of women and children. 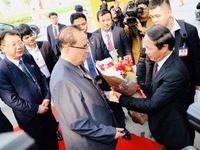 VTV.vn - Minister of Information and Communications Nguyen Manh Hung and Lao Minister of Information, Culture, and Tourism Bosengkham Vongdala discussed ways to deepen bilateral ties during their talks in Vientiane on March 11. 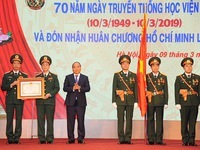 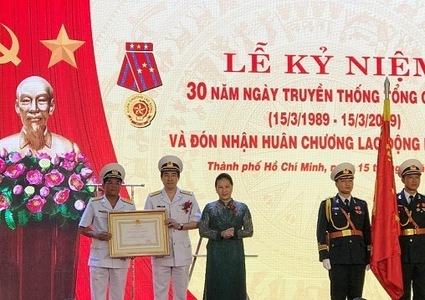 VTV.vn - On the 70th anniversary of Vietnam Military Medical University, Prime Minister Nguyễn Xuân Phúc stated that the university needs to become a regional and international medical training center. 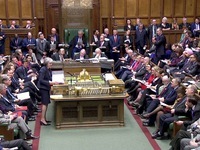 VTV.vn - The British Parliament on Wednesday rejected leaving the European Union without a deal, paving the way for a vote on Thursday that could delay Brexit until at least the end of June. 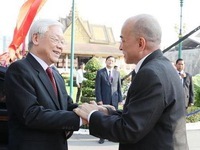 VTV.vn -Party General Secretary and President Nguyen Phu Trong held talks with Cambodian King Norodom Sihamoni in Phnom Penh on February 25, during his ongoing state-level visit to Cambodia. 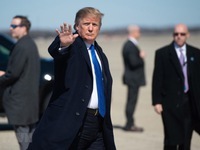 VTV.vn - US President Donald Trump left Washington DC on February 25 (local time) for Hanoi to attend the DPRK-USA Hanoi Summit Vietnam. 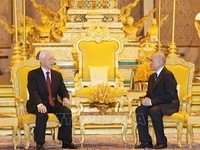 VTV.vn - Vietnamese Party General Secretary and State President Nguyen Phu Trong has successfully concluded his State visit to the Kingdom of Cambodia, on February 25-26, at the invitation of King Norodom Sihamoni. 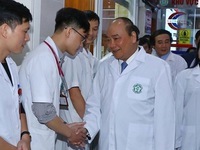 VTV.vn - Prime Minister Nguyen Xuan Phuc on February 26 applauded silent contributions of doctors and health workers from central to grassroots levels to public health care on the occasion of Vietnamese Doctors’ Day (February 27). 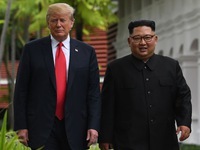 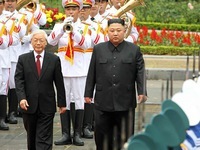 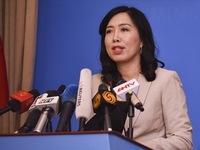 VTV.vn - As the host of the 2nd DPRK-USA Hanoi Summit, Vietnam had made careful preparations including security and safety. 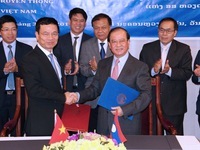 VTV.vn - On February 27, a high-ranking delegation of the Workers' Party of Korea of the Democratic People's Republic of Korea led by its Vice Chairman Ri Su-Yong visited Hai Phong. 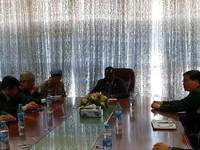 VTV.vn - During a working visit to the Republic of South Sudan, Deputy Minister of National Defence Senior Lieutenant General Nguyễn Chí Vịnh held talks with Vice President of the Republic of South Sudan, James Wani Igga. 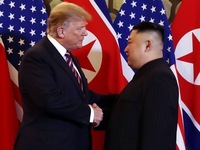 VTV.vn - Over the past few days, journalists around the world have covered the DPRK - USA Summit in Hanoi. 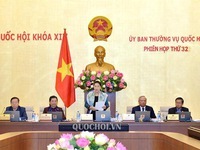 VTV.vn - Party General Secretary and State President Nguyen Phu Trong hosted a banquet in Hanoi on March 1 in honor of Democratic People's Republic of Korea Chairman Kim Jong-un. 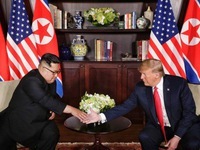 VTV.vn - Through the successful organization of the DPRK- USA Summit in Hanoi, Vietnam was promoted to the rest of the world.